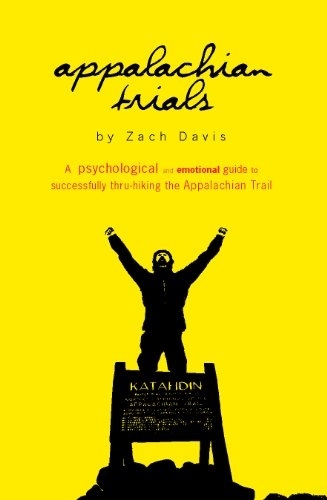 This book written by former thru hiker, Zach Davis, is by far best mental and emotional preparation guide for the Appalachian Trail. Some people get so worried about gear and itineraries that they forget that even the best backpack and strongest hiking plan will not get them to Katahdin. For a six month journey of physical exhaustion and constant change, the biggest leg up is a sound mind and heart for what you are doing! Zach shares his story of defeating the trials he came across thought out his thru hike of the Appalachian Trail (and the poor guy did NOT have a lack of them!) He also provides a wonderful, nearly fail proof way to set your intentions for your thru hike and safe guard yourself against those fragile times when it is easy to call it quits. This is a MUST read for prospective thru hikers of ANY long distance trail!